Yesterday, guests got a sneak-peek at the first sections of Art Basel 2013. The 24 young galleries presenting solo shows of emerging artists in Art Statements and the record 79 larger-scale Art Unlimited projects (selected from proposals from participating galleries in the fair by curator Gianni Jetzer) were all on view, as was the new architecture of the Messeplatz, with its.. aperture? gap? eye-hole? People haven’t seen to find the right word, but it certainly made a noticeable appearance, particularly when a light rain descended on the champagne reception, and the crowd immediately arranged itself in a donut shape. More from the fair when we get our first glimpse today! 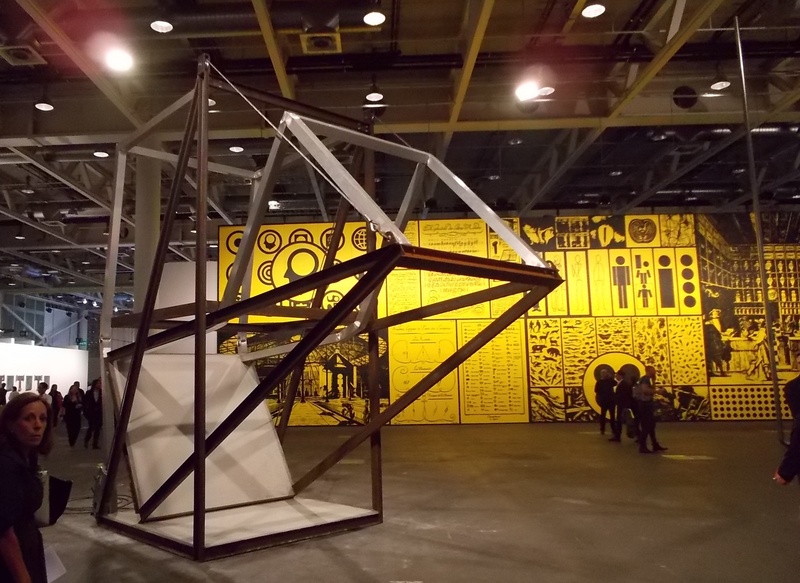 This entry was posted in Uncategorized and tagged Art Basel, Art Statements, Art Unlimited, ArtUnlimited, Gianni Jetzer, Latifa Echakhch, Oscar Tuazon, Venus Over Manhattan. Bookmark the permalink. 2 Responses to Basel Begins!